Lighter than the 207. Interesting dash layout. Small steering wheel. Available with economical new three-cylinder petrol engines. Luxurious XY model. Gear change action isn't great. Lower trim level models feel less polished and less well made than higher spec cars. Strangely disconnected feel between the steering, accelerator and braking. 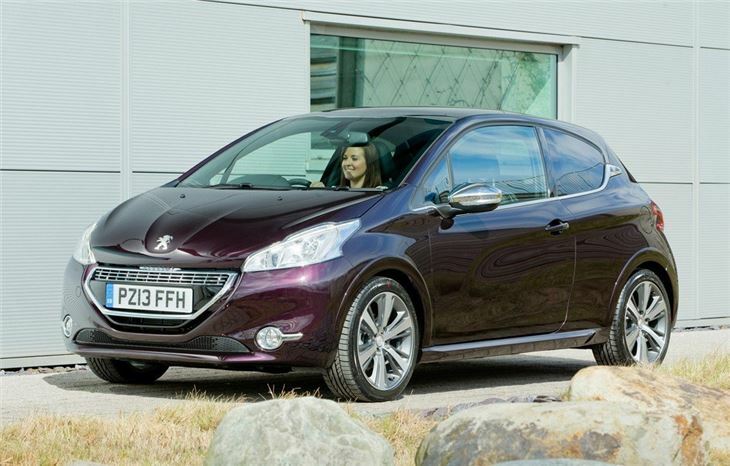 Peugeot’s previous effort at a small car didn’t really cut the mustard. 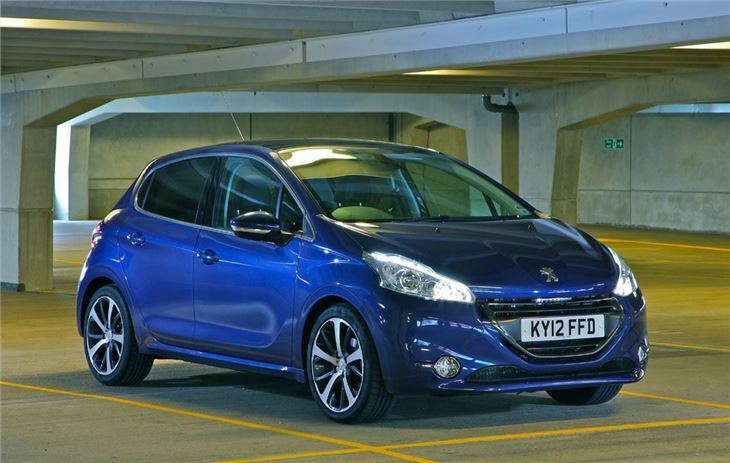 The 207 wasn’t exactly stylish or particularly well priced. It was also disappointing on the road and beset with electrical faults. 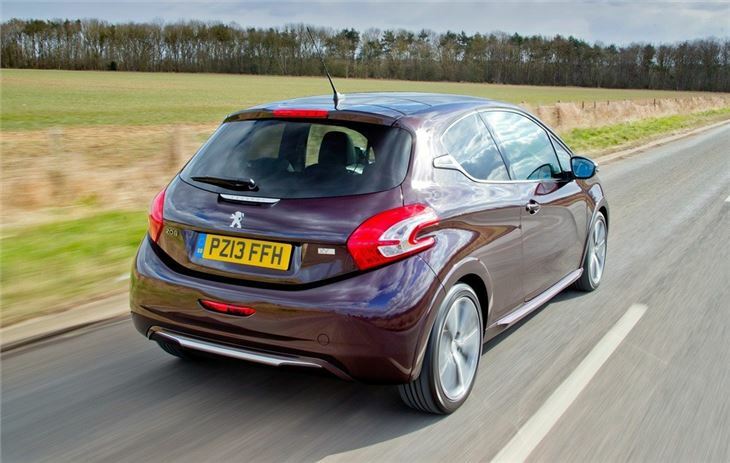 However, with the 208, Peugeot has gone back to the drawing board and created a car it says will stack up well against its rivals – with the bonus of a bit of Gallic charm. That charm comes from the interior layout, which is completely unique. The steering wheel is tiny and you look over it, rather than through it, to see the instrument binnacle. 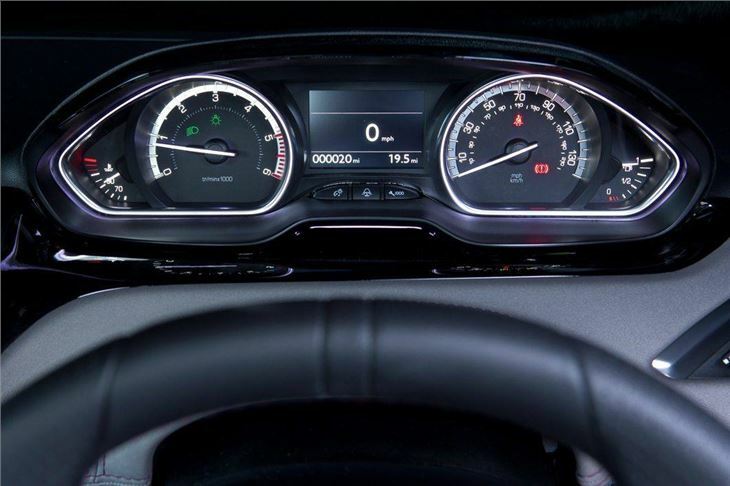 There have been some criticisms about the wheel blocking the instruments, but that will only affect a very small number of drivers with unusual driving positions. 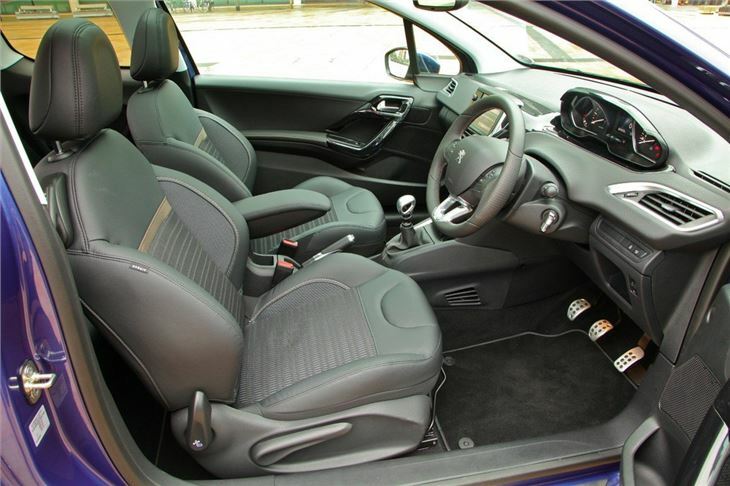 Interior quality is a great improvement over the old 207, comparing well with most rivals. There’s a nicely put together dashboard layout with soft-touch covering, and while the low down plastics aren’t quite as plush as those higher up, that’s pretty typical of cars this size, plus they’re hardwearing enough to stand the test of time. One thing that stands out is the touch screen system at the top of the centre stack; it looks pretty swanky but it’s not the most responsive or user friendly system we've experienced. You do get used to it fairly quickly though. There are some further niggles in the cabin, too, like a tiny glovebox and cup holders that are too small to carry anything larger than a 330ml can of pop. The aforementioned miniature steering wheel makes for an interesting driving experience – go karts have wheels of a similar size, so you end up gripping it in the same way through corners. Unfortunately, the size of the steering wheel doesn’t make the drive the very best – the handling is neither joyfully precise nor is the ride particularly comfortable, while the gear change is sloppy and clunky. Ford does it better with the Fiesta. On the plus side, running costs should be low thanks to a broad offering of frugal petrol and diesel engines, including e-HDI diesels which successfully blend useful performance with good economy – you’ll beat 50mpg in real world driving without even trying. 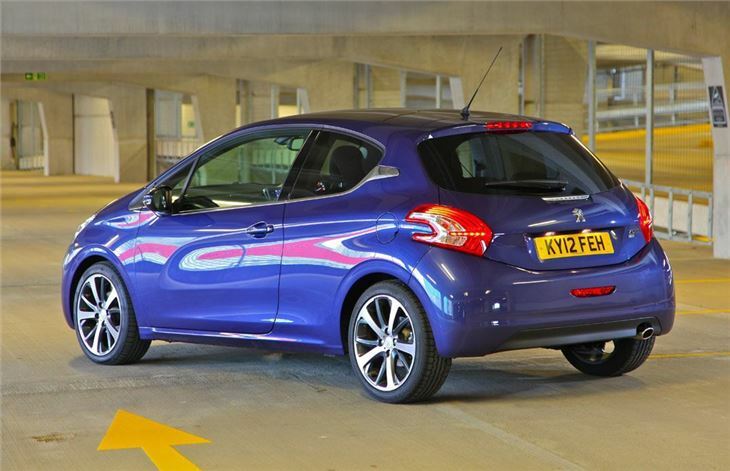 There’s also a 1.0-litre three-cylinder that starts at less than £10,000 and a full-fat, 200PS GTI. Furthermore, Peugeot’s ‘Just Add Fuel’ lease option bundles up all motoring costs including the monthly lease amount, tax discs, maintenance costs and insurance into one amount. That means one headache free car bill each month – the only other cost under most circumstances is fuel. 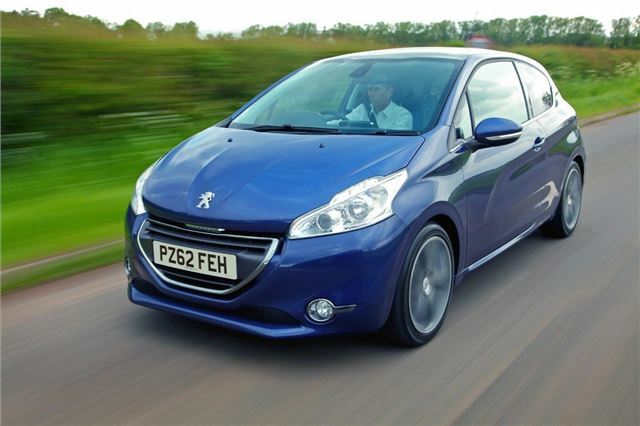 Peugeot 208 1.6 BlueHDI and 1.2 Puretech EAT6 2015 Road Test. Don't bother with this car. Get Mazda 2 instead.